Freshly folded! Here are two kusudamas that I was planing to do ever since I saw the diagram. 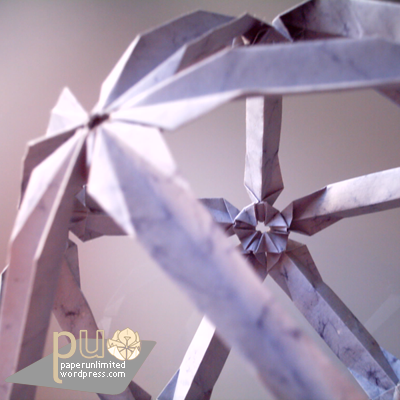 Once again go check Mio’s site, The Kusudama, and thank her for sharing with us! 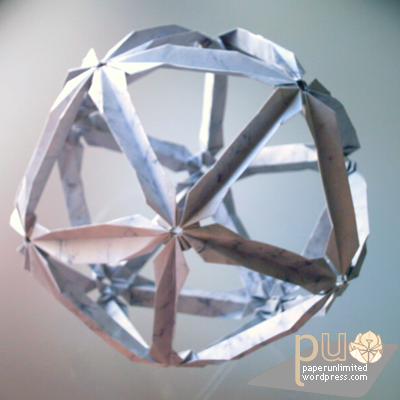 These are kusudamas to be made with rectangular paper. 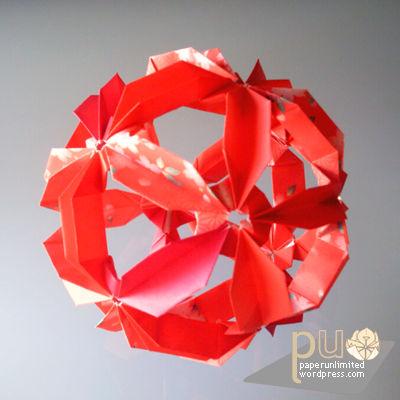 The red one was made with red origami paper (3 tonalities) and chiyogami paper with sakura (cherry blossom). Paper size: 5.5×7.5; kusudama’s diameter: 10 cm. The blue one was made with marbled blue paper of 5×10 (if not mistaken, I can’t remember that well the paper size for this one). The diameter of this one is 18 cm. 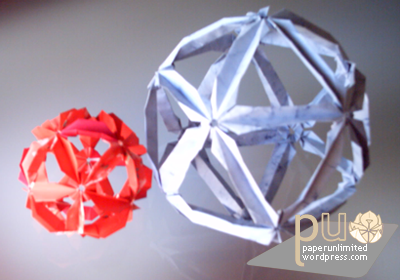 This entry was posted on 2007|03|08 at 10:11 and is filed under kusudama, modular origami. You can follow any responses to this entry through the RSS 2.0 feed. You can leave a response, or trackback from your own site. HI !!! this kusudamas are so amazing !!! Congratuletions!!! HOw modules you need ?? ?